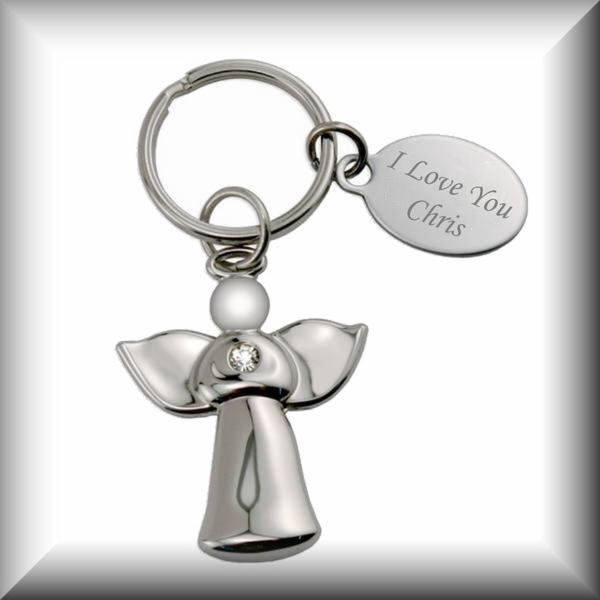 Guardian Angel Personalized Key Chain perfect gift for anyone you love or any occasion. Measuring a dainty 1 3/4" tall,with faux diamond gemstone. A separate metal tag can be engraved with your message, and this guardian angel personalized keychain offers a thoughtful and practical. Personalization information: Personalize this gift for anyone you love.